I love to look at old houses, their character, detail, charm, but when it comes down to living in the home, I prefer new. I don't like things breaking down, so I appreciate the new appliances, the pretty granite countertops, the clean soft rugs that were just installed. So, my dream home would be what I live in now - a smaller newly built house that's easy to clean, fun to decorate. Nel's dream home would be a 19th century Victorian estate with spiral staircases and a great big library with floor to ceiling books. Jess would love to live in one of the craftsman cottage homes with a BIG porch and flowers in the front yard. She admires the charm and character of these homes. I do love the Craftsman house! Now though, at this stage of my life, I would love a smaller, all on one floor cottage or bungalow from the 1920s. Ours is a 1920 farmhouse with 24 acres and it's time to find something smaller. I wish we could keep it as a family guest house for when all the kids are home but that R.H. and I could build a tiny house in the back of the property by the waterfall on a hill. Then we'd have the best of both worlds. I guess I love all houses and it seems the style I'm living in at the present it my favorite. I love older homes but I don't like the problems that sometimes come with them. I've never had a brand new home but wouldn't mind trying one one time. Is this your home at the top? It is just beautiful! I agree with the smaller home. At my age I don't think I would have enough energy to properly take care of a really large home.. I do love the charm of the older homes, and in my heart of hearts have always wanted to live on a farm. Not now of course.. I think the style of home I love most is the English Tutor. A little Faerie Tale Cottage. With just the number of rooms, which my husband and I, now use. With a room, attached at the back, where he can have his Faerie Tale style work shop. Mmmmm, what a delightful question. Thank you for asking it. Your new home is lovely Sheri… I love all styles , old, new etc, etc etc… The ones in the photos are amazing and all have their own charm, I think having about four different homes would be perfect… That won't be happening ha ha, but a girl can dream…Have a wonderful weekend. Home is where the heart is. No matter what style it is YOU and the family make that a special home. Oh Sheri, love that you said your dream home is what I live in now! That's the best and yours is wonderful! Canyon Lake is right up the road.. I am sure that is where he spends most of his time.. I really don't know why he enjoys walking around the neighborhood, but glad he does. Your new home is lovely, I must say that I agree with you about downsizing and new. That is just exactly what we are about to do (more news this coming week.) I adore older homes but even our current home is and continues to be such an expense to maintain. Maybe we can build a new home and make it look old! Have a beautiful weekend Darling....love Ria...x! Having a house that is 60 some years old I understand what you mean about having something new. However if dreams could come true. I'd love a vintage two bedroom cottage by a lake or near the ocean. With lots of books too. 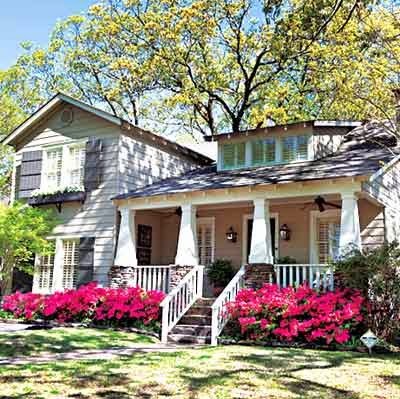 I would love to have a new one-story cottage (the Craftsman style is awesome!) that looks old and resides in a quaint little well-established town. I would like to walk out the door and walk right into a garden. No stairs! I'm with you, I don't like things breaking down all the time. Our 20 year old house (with tons of stairs) is trouble enough! I so love your prose. Your gentle shares, you powerful endings. 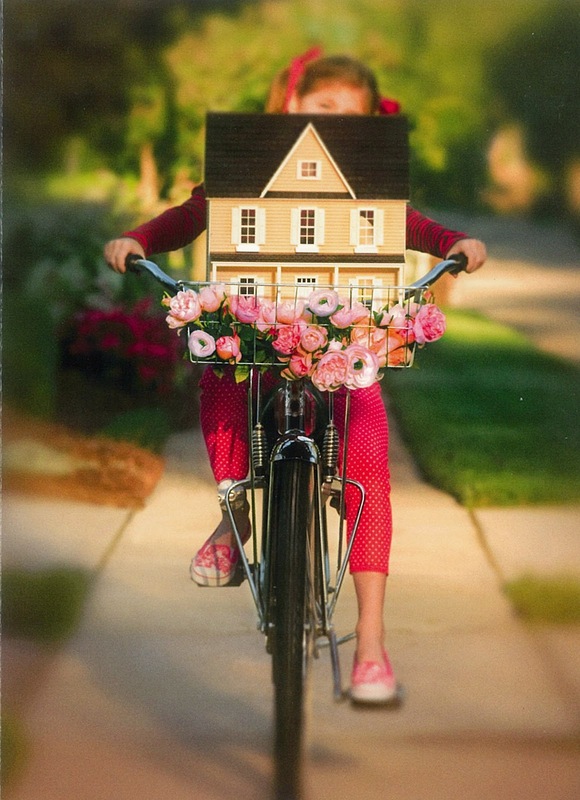 What a GREAT PHOTO of your lovely new cottage, what is my dream home? The one I live in now, with Ruben. 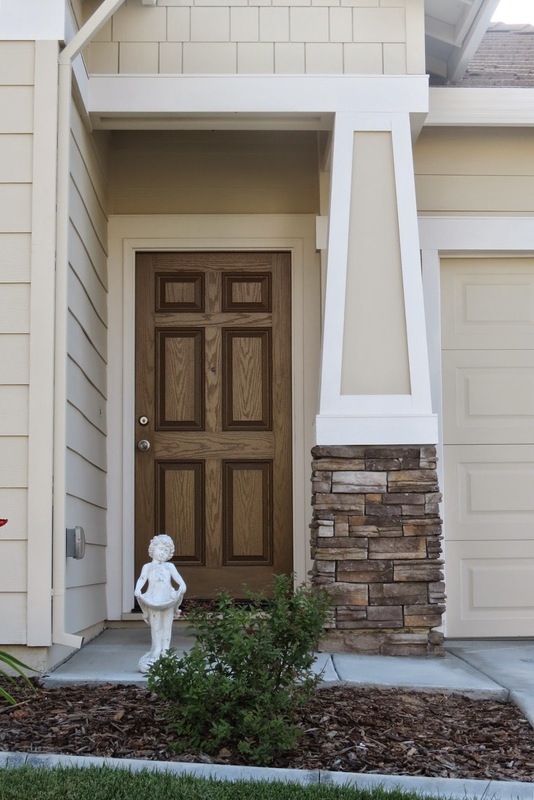 We both love Carmel-inspired cottages so we took this little post-war brick home and added the details. Now, it's our castle. The dream is the one you make yourself, I believe. Oh Sheri, so LOVELY! Jan is right. Home is where your heart is, your beloved ones. This is what makes it special. Your cottage is a very charming and beautiful construction, I love it! Love my little cottage home and all I need is a white picket fence and I would love that. Hope you have a good weekend dear Sheri. We designed a more contemporary feel in our new home in that there are not as many rooms and an open floor plan. The great room is taking some getting used to. Thank you! And thank you for noticing the little fairy in the background. I always enjoy your visits.. I agree about new houses, my dream house would be as new as possible. It would also be pink on the outside and as colourful as possible on the inside. It is really fun to dream about such things. Hi Sheri...I'm with Nel. Victorian is my style. I actually have a kind of dream home, though----a front entry Colonial, not quite 100 years old. I love this dear house. The bungalow style is pretty, too, though. I know exactly what you mean here. 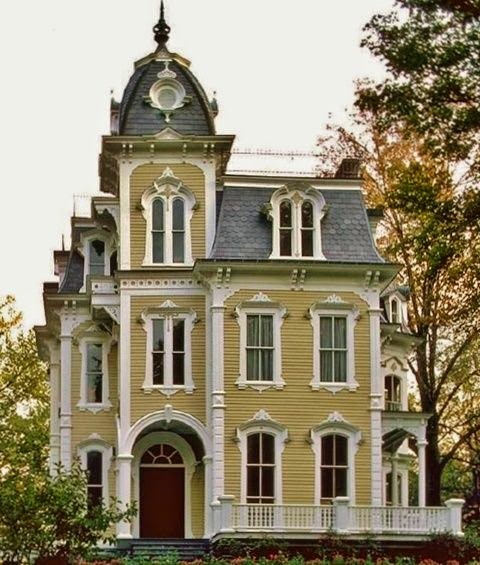 I often admire Victorian houses and old farmhouses but I don't like things breaking down. 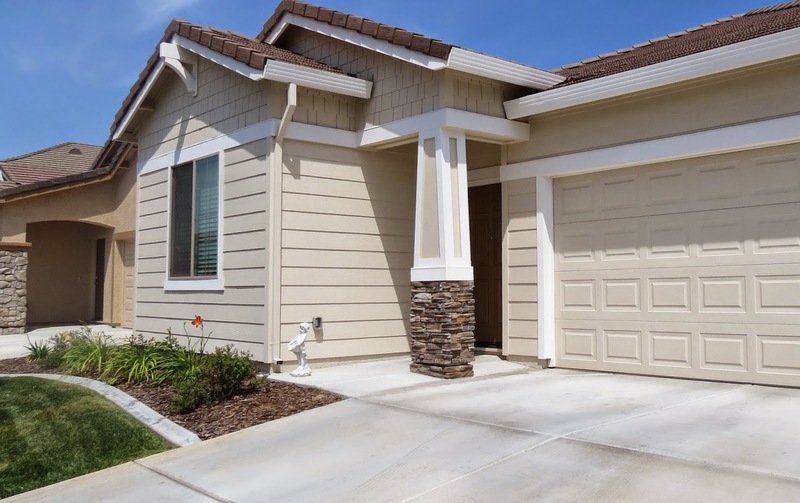 Your new home looks lovely and has its own charm too!